Most people see gluten-free as a healthy way to eat, but that’s not the case. Most foods that contain gluten also contain important nutrients we need every day to stay healthy. Without these nutrients we won’t be as healthy and run the risk of getting sick. Gluten-free foods lack a lot of the nutrients we need daily in our diet. For example, gluten-free foods rarely contain whole grains because they’re made from potato or tapioca starch which have a high-glycemic and are low in nutritional value. 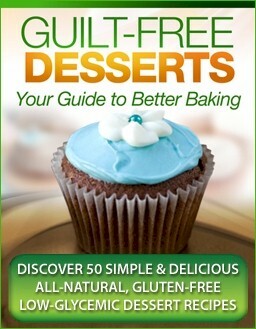 Gluten filled items contain both minerals and vitamins which make it good for us to eat. Gluten-free cookies, pizza crust, breads, and pastas are a terrible source of iron, folic acid, and vitamin B when compared to the whole wheat or refined white wheat products you can buy at the store. As you can see, even though you may think these gluten-free items are healthier for you, in reality they really aren’t because of these missing vitamins and minerals. Breakfast cereals contain large amounts of iron and folic acid which are two of the things you won’t find in gluten-free cereals. These gluten-free foods are missing this very important nutrients needed in our diet every day. While eliminating gluten from your diet may help you feel better, it’s not going to help you when it comes to the vitamins, minerals, and other nutrients you need in your daily diet. You must find other ways to get those things you need every day. Some of these ways may be food related while others may be vitamins you can take that are gluten-free yet contain the vitamins you need every day in your diet. You should consider eating gluten-free grains like brown rice, quinoa, and millet. You should also consider eating seeds, fish, eggs, chicken, and legumes so you can increase the protein you’re getting. You’ll also want to increase the number of fruits and vegetables you eat on a daily bases so you can increase the number of vitamins and minerals you have from them. Battling the nutrition game will be won easier when you decrease the number of gluten-free processed foods like pizza crust, cookies, pasta, and bread and increase the items listed above you’ll have more of the vitamins or minerals you need, but it’s also important to add supplements to your diet as well. You may find it’s hard to eat this way, but it’s important you do so you have the vitamins, minerals, and nutrients you need to stay healthy. When you eliminate the foods that are high in vitamins and nutrients so you can go the gluten-free way of eating you must add other things or you’ll see the lack of these things start to take a toll on your body. When this happens you’ll find you will get sick more or you won’t have the energy to do what you need to stay healthy. So it’s best to use these tips to help you get the important daily amounts of vitamins, minerals, and nutrients.